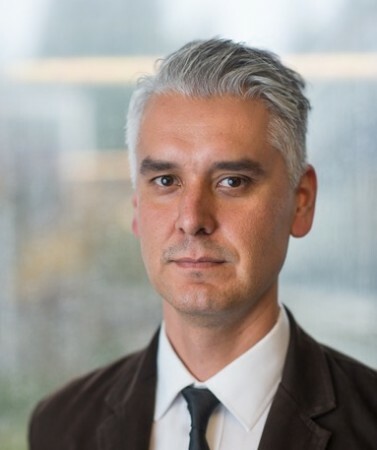 Glen Coulthard is Yellowknives Dene and an associate professor in the First Nations and Indigenous Studies Program and the Departments of Political Science at the University of British Columbia. He is the author of Red Skin, White Masks: Rejecting the Colonial Politics of Recognition (Minneapolis: University of Minnesota Press, 2014), winner of the 2016 Caribbean Philosophical Association’s Frantz Fanon Award for Outstanding Book, the Canadian Political Science Association’s CB Macpherson Award for Best Book in Political Theory, published in English or French, in 2014/2015, and the Rik Davidson Studies in Political Economy Award for Best Book in 2016. He is also a co-founder of Dechinta Centre for Research and Learning, a decolonial, Indigenous land-based post-secondary program operating on his traditional territories in Denendeh(Northwest Territories). Research Interests: contemporary political theory; Indigenous politics and political thought; theories of imperialism and anti-imperialism; Dene history and politics; land-based pedagogies and Indigenous decolonization. Red Skin, White Masks: Rejecting the Colonial Politics of Recognition. Minneapolis: University of Minnesota Press, 2014. Book series editor (with Denise Ferreira da Silva, Mark Harris, and Claire Charters), Indigenous Peoples and the Law (New York: Routledge). Co-edited with Andrée Boisselle, Avigail Eisenberg, and Jeremy Webber. Recognition and Self-Determination. Vancouver: University of British Columbia Press, 2014. “#IdleNoMore in a Historical Context.” The Kino-nda-niimi Collective (eds). The Winter We Danced. Winnipeg: ARP Books, 2014. “Indigenous Peoples and the Politics of Recognition.” Frances Negron- Muntaner (ed.) Sovereign Acts. Boston: South End Press, 2009. (Revised reprint of “Subjects of Empire” Contemporary Political Theory 6:4, 2007). “Resisting Culture: Seyla Benhabib’s Deliberative Approach to the Politics of Recognition in Colonial Contexts.” David Kahane, Dominique Leydet, Daniel Weinstock, and Melissa Williams (eds.) Realizing Deliberative Democracy. Vancouver: University of British Columbia Press, 2009. “Beyond Recognition: Indigenous Self-Determination as Prefigurative Practice.” Leanne Simpson (ed.) Lighting the Eighth Fire: The Liberation, Resurgence, and Protection of Indigenous Nations. Winnipeg: Arbeiter Ring Press, 2008. “Review: Dale Turner, This is Not a Peace Pipe: Towards a Critical Indigenous Philosophy.” University of Toronto Quarterly (2008). “Subjects of Empire: Indigenous Peoples and the ‘Politics of Recognition’ in Canada.” (Feature Article: Theory and Practice) Contemporary Political Theory 6:4, 2007. Winner of the Contemporary Political Theory Prize for Best Article of the Year, 2007. Co-edited with Gerald Taiaiake Alfred and Deborah Simmons. New Socialist: Special Issue on Indigenous Resurgence. Issue no. 5.